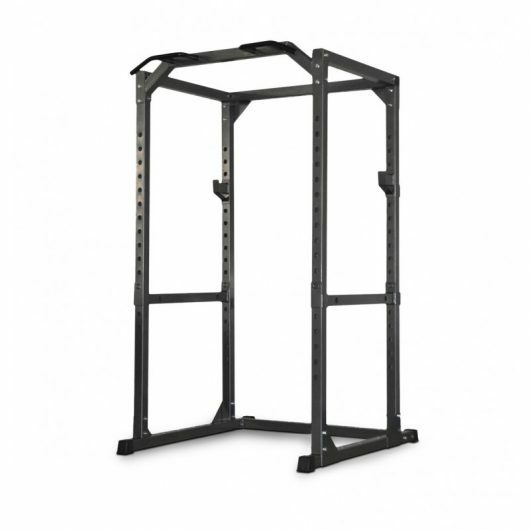 Extra heavy duty steel tubing provides sturdiness & safety. 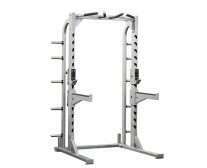 Bar catches distribute weight evenly on upright. 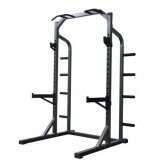 Adjustable safety rails & bar catches ensure ease of use & quick exercise change over. 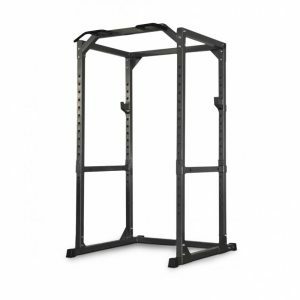 Weight carriage suitable for standard or olympic sized plates. Assembled Dimension: 142cm (L) x 120cm (W) x 217cm (H). Maximum Weight Capacity: 363 KG (800 LBS). Main Frame Tube: 6cm x 6cm x 2mm (thickness).